Posted on 12/03/2018 by Mickey McCarter	in Preview and tagged 9:30 Club, Australia, Gang of Youths, indie rock. Australian indie rockers Gang of Youths recently released a new live album, MTV Unplugged (Live in Melbourne) with a special vinyl edition coming to the United States on Dec. 21. Before that, however, you can actually see Gang of Youths live at 9:30 Club on Monday, Dec. 10! After a record breaking Australian tour, selling over 50,000 tickets, Gang Of Youths have hit U.S. shores, kicking off their tour in Nashville and coming to 9:30 Club soon. 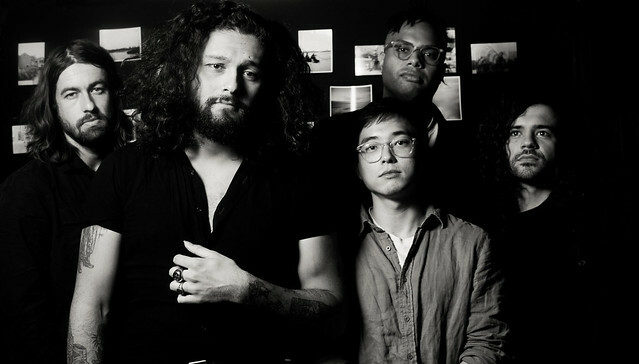 MTV Australia recently produced all-new episodes of the Grammy and Emmy award-winning series MTV Unplugged, which featured Gang Of Youths as its first featured artist. Filmed in front of a live audience at Melbourne’s Cobblestone Pavilion at Meat Market, the band performed stripped-back versions of songs from their latest album, 2017’s Go Farther in Lightness. Give David a chance to sing to you! Buy your tickets online.